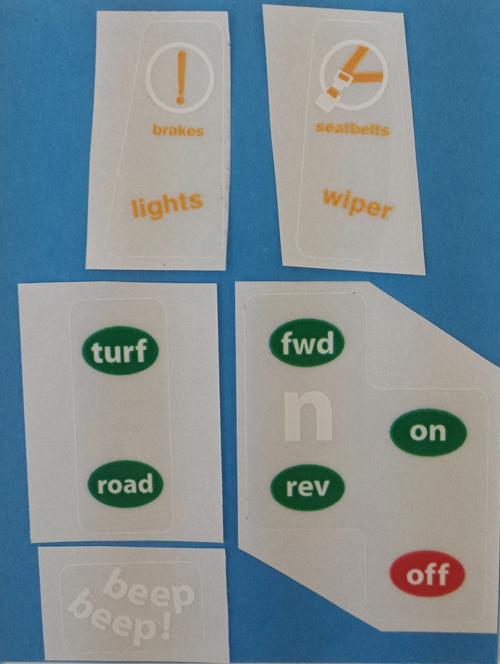 GEM Car Peel and Stick Information Label. Makes your dashboard look great! Identifies all the dashboard switches. Complete kit. For dashboards of 1999-2004 GEM Cars.